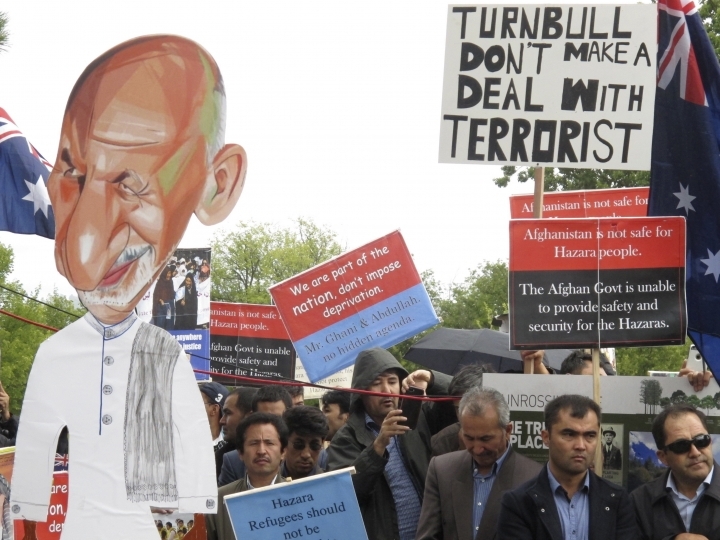 CANBERRA, Australia — Hundreds of protesters demonstrated against the Afghan president's visit to Australia on Monday, calling for his government to end discrimination against the Hazara ethnic minority and to refuse to repatriate asylum seekers rejected by Australia. 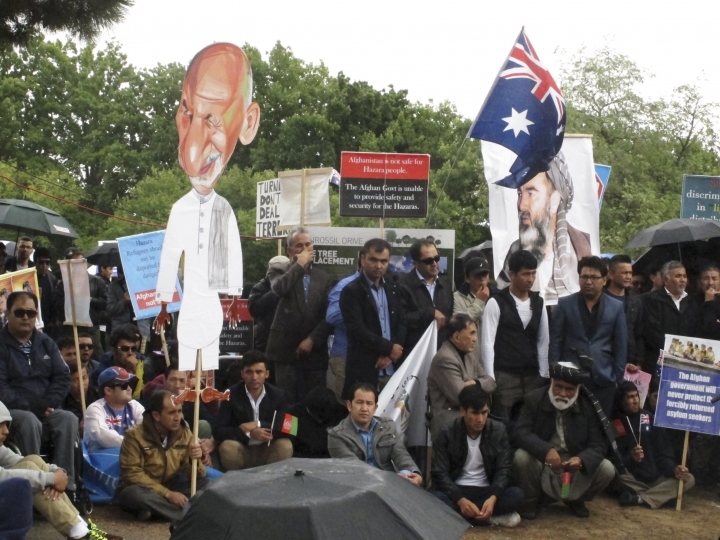 The protesters gathered outside Government House, where Ashraf Ghani met with Governor-General Peter Cosgrove on the first visit to Australia by an Afghan president. 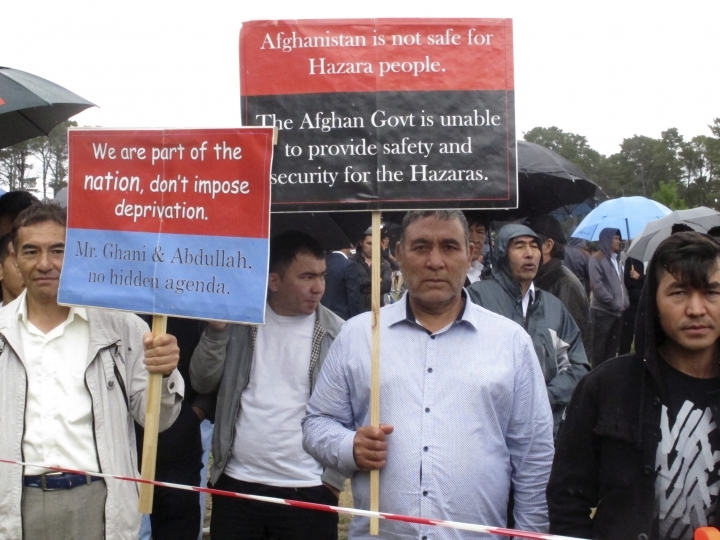 Hazara protester Barat Ali Batoor said the security situation in Afghanistan had deteriorated too much for members of the Hazara community for the Afghan government to continue to accept asylum seekers rejected by Australia. 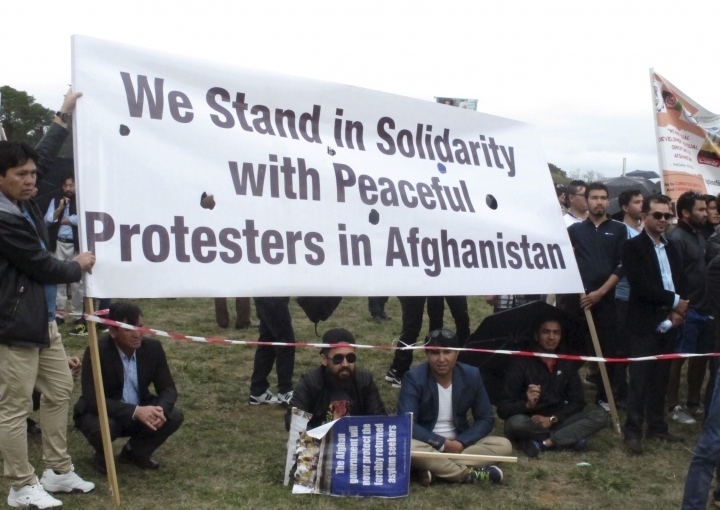 Afghanistan signed a memorandum of understanding with Australia in 2011 to accept failed Afghan asylum seekers. Ghani arrived in the Australian capital, Canberra, late Sunday. Australian Prime Minister Malcolm Turnbull said the visit reflected a strong bond between the two countries. "During this visit, discussions will focus on our ongoing security and development cooperation to help Afghanistan in its efforts to become more prosperous, secure and self-reliant," Turnbull said in a statement. "In particular, we will seek to enhance partnership between our nations in a number of fields including women's and girls' empowerment, public sector capacity building and agricultural productivity," he added. Ghani will lay a wreath at the Australian War Memorial on Monday before he meets with Turnbull.